BIO-Europe Spring® is the premier springtime partnering conference which annually attracts an international "who's who" from biotech, pharma and finance for three days of high caliber networking. As published in Pharma's Almanac Q1 2016. 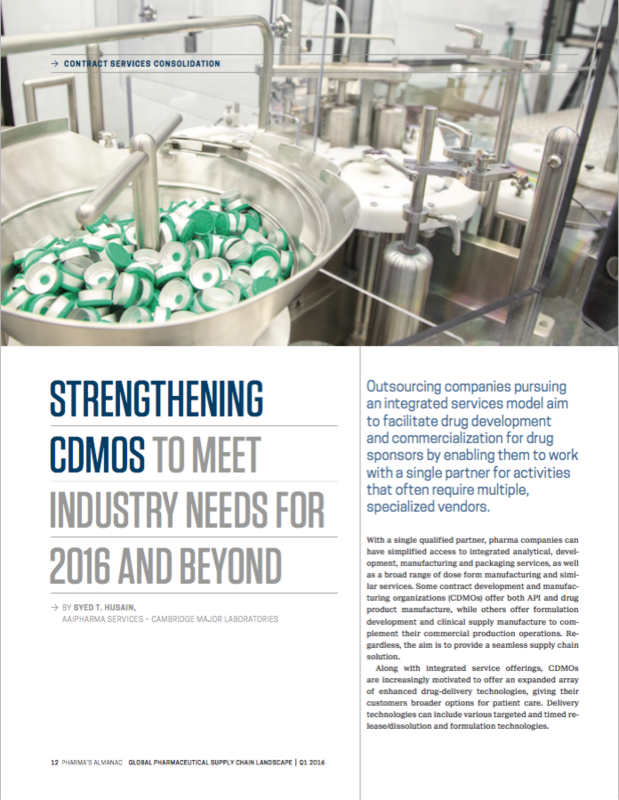 Outsourcing companies pursuing an integrated services model aim to facilitate drug development and commercialization for drug sponsors by enabling them to work with a single partner for activities that often require multiple, specialized vendors. With a single qualified partner, pharma companies can have simplified access to integrated analytical, devel- opment, manufacturing and packaging services, as well as a broad range of dose form manufacturing and simi- lar services. 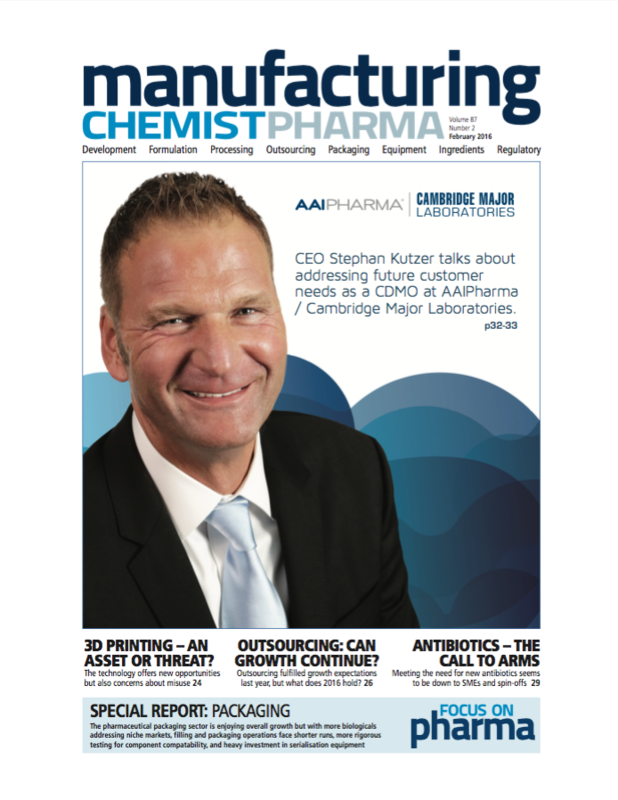 Some contract development and manufac- turing organizations (CDMOs) offer both API and drug product manufacture, while others offer formulation development and clinical supply manufacture to com- plement their commercial production operations. Re- gardless, the aim is to provide a seamless supply chain solution. Valued at almost US$162 billion in 2014, the global pharmaceutical market is anticipated to have a compound annual growth rate (CAGR) of 9.4% reaching nearly $278 billion by 2020, according to Persistence Market Research. Driven in part by the increasing prevalence of chronic diseases and the ageing of the global population, this strong growth has brought numerous biologics effective at treating more widely spread conditions to a development and manufacturing peak. Biotechnology and bioprocessing continue to advance as novel therapies emerge for the treatment of a variety of diseases. In response to new molecular modalities and novel molecular entities, development and manufacturing approaches are evolving to meet the challenges associated with reliably and efficiently producing and supplying these products to enable patient access globally. The 2016 PDA Annual Meeting is the most significant conference to attend to gain the newest and most comprehensive information about innovative biopharmaceutical approaches and the bioprocessing technologies and manufacturing sciences being applied for development and commercialization.